Berkeys’ team of HVAC, Plumbing and Electrical technicians, in addition to an extraordinary group of customer service professionals, dispatchers, installers, warehouse team, managers and everyone who makes Berkeys successful works hard everyday to earn a solid reputation in the DFW market. 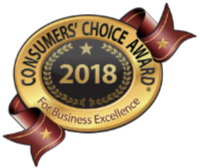 And without customers who share their positive experiences, confirming the hard work done by Berkeys team, none of the recognition or awards mentioned below would be possible. Thank you to all our customers…especially those who have stuck with us since 1975. Berkeys Air Conditioning, Plumbing & Electrical is an BBB Accredited Business since 1997. BBB has determined that Berkeys Air Conditioning, Plumbing & Electrical meets BBB accreditation standards, which include a commitment to make a good faith effort to resolve any consumer complaints. 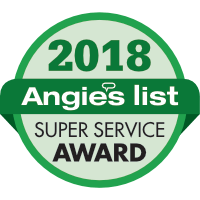 The award honors excellence among service providers who maintain a superior service record and each year, less than 5% of thousands of businesses earn the award. Years won: 2018, 2017, 2016, 2015, 2014, 2013, 2012, 2007, 2006. Berkeys has won the Best Pick Reports award for the 6th year in a row. Five Star Rated saves Homeowners time by conducting thousands of due diligence home contractor surveys and homeowner interviews. Only home services companies that “earn” a Five Star Rating through exceptional service and work performance over time make it into Five Star Rated. Berkeys has made Southlake Style's "Best of" list for 5 years in a row. 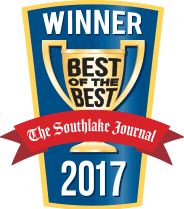 Berkeys is proud to be Southlake Journal's "Best of the Best" for over 9 years. Berkeys won the 2014 Living Magazine Best of (Readers Choice) award.